At Clear Choice Office Solution, we offer you a wide variety of quality office tables Houston suitable for your office and workspace needs. These office tables feature different design and styles. Whether you are in need of new office tables to use in your conference rooms, break rooms, lunch rooms, or even if it is for training room purposes, we have the perfect office tables for you. In addition, our new office tables Houston feature aesthetics, form, and function. We combine business quality surfaces in conference rooms with storage accessories to organize meeting space and offer clients a place for their valuables. We also have top class business quality tabletops that will perfectly suit your conference room, break room or training space. No matter your choice, style, or preference of office tables Houston, we have what you need. Selecting an office table because of longevity can be quite complicated. You don’t have to buy an office table that will serve you for up to 10 years. Instead, purchase an office table that will suit your workspace and interior design perfectly. The majority of corporate houses usually give more priority to elegance rather than durability. Hence, find a balance between quality and design. With this, you will be able to purchase a table that will serve you excellently. Another thing to put into consideration when purchasing office desks is comfort. Carry out a test drive on the table. Check to see that the chair fits in perfectly with the proper height ratio from the surface of the table. However, if you plan to use the table for a long period, try as much as possible to consider and double check the ergonomic features. Instead of purchasing conference tables, you can buy a regular office desk. Furthermore, the design and appearance of the table is another essential factor to consider. This is because the corporate impression of the table will largely depend on the appearance and elegance of the furniture used. Above all, important meetings with business partners, clients, local and foreign diligent will take place on your office desk. Hence, ensure that the design is top-notch. Above are some of the things you should put into consideration when purchasing office desks. Clear Choice Office Solution offers you a huge selection of quality, elegant office desks featuring different designs and styles. You can count on us to deliver the ideal office desk for your business needs. 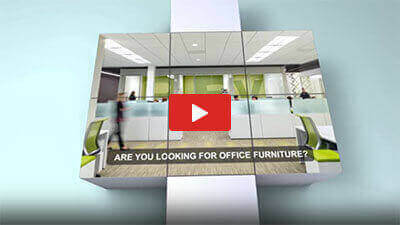 Do you need to update or expand your executive suite or boardroom area? Anytime you need quality tables to make your conference room, executive suite, and meeting room look sophisticated and fascinating, always turn to us at Clear Choice Office Solutions. 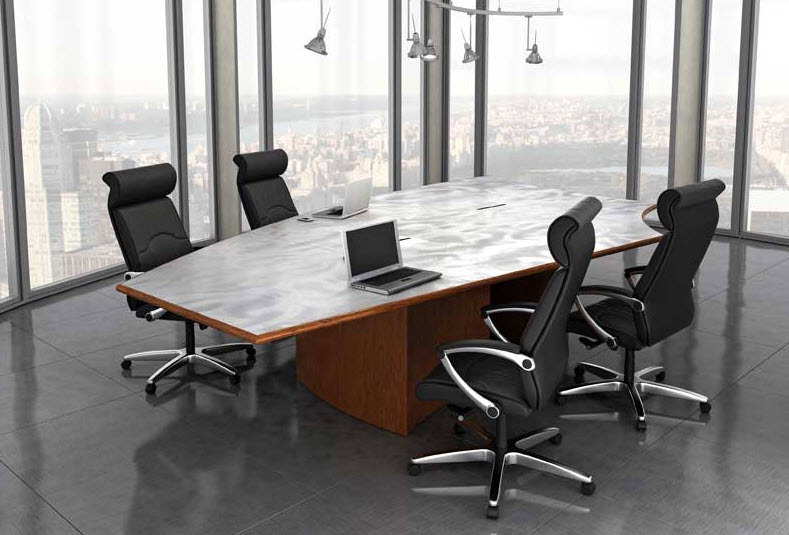 We carry a huge selection of conference room furniture featuring different shapes, designs, and sizes. Our conference and meeting room tables in Houston are built to accommodate all of your business need flawlessly. What’s more, we can supply your office with smaller, more intimate roundtables featuring metal bases for impromptu meetings or brainstorming sessions. We can also offer you a larger sized boat. Our rectangular shaped office conference tables are available in sectioned tops. You can easily split them up to create different arrangements if you like to transform your office setting. Our solid pieced laminate finished surfaces are very durable and scratches and scuffs resistant. Are you in need of simple but versatile office tables that will fit your training room, conference room, or library seamlessly? At Clear Choice Office Solutions, we offer you a vast selection of beautiful training tables that are suitable for the training room, conference room, and library. These tables feature different styles, designs, and sizes to support the various needs of any modern office. Whether you are in need of mobile training tables or tables with flip-up top, we have them available for you. Our showroom and warehouse in Houston feature everything and anything you need for your training or conference area. We also supply computer room tables that are suitable for public study spaces and libraries. With us, your training room table needs are well catered for. Are you planning to expand the seating in your lunchroom or break room? Clear Choice Office Solutions is your reliable provider of cafeteria tables in Houston Texas. Our cafeteria tables feature different designs, styles, and sizes. No matter how large or small your business may be, we have the ideal furniture solution for your cafeteria room and break room needs. In addition, we offer small café tables, larger café tables with attached seating, and so forth. We also supply lunchroom tables with contemporary options that look like the homelike charm of residential dining room tables. These café and break room tables will serve your relaxation needs excellently. Do you need a durable and versatile tabletop space for your business? Contact us today at Clear Choice Office Solutions to offer you ideal office table solutions. Our selection of office tables can provide an extended workspace, a place to eat, and so forth. These tables can also offer you extra storage space. Above all, we offer you quality and affordable products and services. Our expert team will be available to speak with you and discuss your needs. With this, we will be able to recommend the ideal office tables that will serve you exceptionally. An amazing experience awaits you.